When making an OC, there are a few things you have to remember. These tips are coming from my own mouth (er... keyboard), so listen up! 1. Make your OC likable! No one likes an unlikable OC (literally). Give your OC some likable qualities! This doesn't necessarily mean make them this sweet, lovable, would-never-hurt-a-fly person. Grouchy people can be likable, too! To be honest, tsunderes are usually my favorites characters in shows. Just give them some charm so that readers will root for them. 2. Don't make a Mary Sue/Gary Stu! Nobody likes these characters. These are the characters that never do anything wrong and nothing ever goes wrong for them. Now, I'll be completely honest, in my early RPing/fanfiction writing days, I made a lot of characters like this. Looking back at them, they were such annoying characters because nothing truly bad ever happened to them. Seriously, most of them had the "My parents died when I was young and I've been living on the streets" backstory. Don't get me wrong, that can work for some characters! It just... didn't work for me. 3. Give them strengths, as well as weaknesses! This ties in with the previous tip. No one is perfect, so don't make a perfect character. Everyone has weaknesses. Everyone. But just as they have weaknesses, they have strengths! But one of my main points in this tip is to not go crazy with the strengths. My other main point is to give them weaknesses. And I'm not talking tiny weaknesses. I'm talking about weaknesses that could actually, you know, weaken them. Gasp! Are you saying that weaknesses actually weaken people?! Yes, that's exactly what I'm saying. Even Superman had a big weakness, right? So give your OC at least one big weakness, too! 4. Make your OC interesting! Give your character something that makes them different from others! Maybe they are a really big adrenaline junkie or something. People really enjoy reading about and RPing with characters that have something special about them. 5. Make your OC relatable! This ties in with tips 3 and 4. Nobody can relate to a character that has the absolute perfect life. Real people have flaws, so your character should too. Real people have fears, so your character should too. I could go on, but I think you get it. 6. Be interested in your OC! If you aren't interested in your character, others won't be either. You have to like your OC in order for them to really come to life and become more realistic! And if you aren't interested in developing them further, then it will never happen and they will stay a flat, two-dimensional character for the rest of eternity. I tried my best to include some good pointers that I've learned from my experience in making OCs. 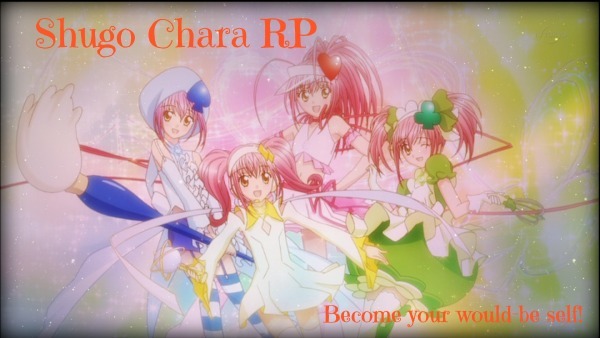 I hope you learned something that will improve your RPing skills!